Multiple sclerosis (MS) is a chronic autoimmune disease of the central nervous system and is characterized by inflammation, demyelination, and axonal loss. Fingolimod is the first oral drug for the treatment of MS approved by the United States Food and Drug Administration, European Union countries, and various other countries. The compound exerts its effect via interaction with lysophospholipid receptors known as sphingosine-1 phosphate receptors. Although fingolimod has a very convenient daily oral dosing, it may cause development of bradycardia at the first dose, macular edema, infection, all of which require attention. Randomized double-blind clinical trials have shown that fingolimod significantly reduces relapse rates and is beneficial in brain magnetic resonance imaging measures when compared with both placebo and intramuscular interferon β-1a. 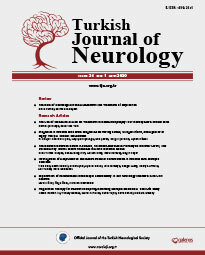 This review describes the characteristics of fingolimod concerning its efficacy, safety, and tolerability in the clinical context of the management of MS.